Ahead of Small Business Saturday on 3 December, principal supporter of the day, American Express, asked us to do something a little different to raise awareness and encourage people to go out and shop small. So, taking the insight that we’re a nation that loves our pets and therefore probably spend quite a bit of money on them, we went about the task of shining a light on the small businesses which keep our canines happy. Our research found that, in fact, British dog owners estimate they spend an average of £1,252 annually on their pet, equating to over £10.64 billion across the country as a whole and some of the principal beneficiaries of the rise in spending have been the small businesses that have sprung up to cater for the rising demand. 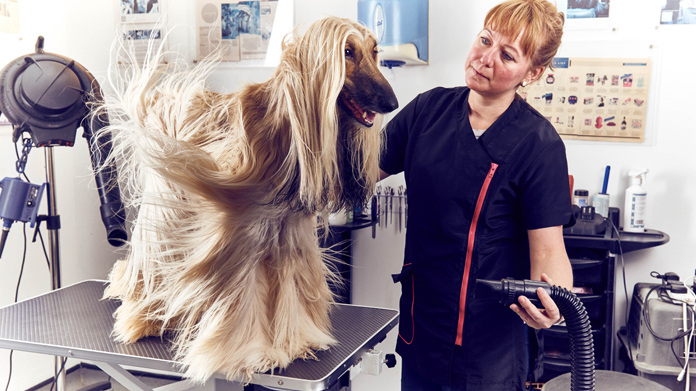 From those who have taken to organising dog birthday parties, holding puppy training classes and “pawlates” – Pilates for dogs – through to traditional services such as vets and grooming, the national obsession with “man’s best friend” has created a new canine economy. With the news story in hand, we then captured beautiful photography of some of the small businesses which offer these services – starring some very cute dogs – and offered the business owners out as case studies. This resulted in wide spread coverage – including Guardian, The Sun, The Mirror (twice), The Times (twice in print), The Telegraph (twice) and a whole host of regional and trade pick up.